74 acts, 2 days, and 15 venues - all for free! 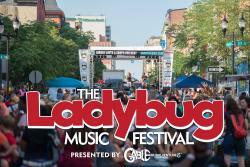 Gable Music Ventures presents the sixth annual all-female music festival and block party! Outdoor main stage performances will be at 2nd & LOMA on Thursday, from 5:15pm - 10:30pm, and 8th & Market on Friday, from 5:15pm - 9:45pm. Headliners include Larkin Poe and The Voice&apos;s Nadjah Nicole. Vendors, plenty of food options, live painting, and dancing complete this two- day block party and live music extravaganza! This event showcases more than 40 craft and imported beers paired with creative food offerings from many of Newark&apos;s restaurants. Unlike most beer festivals, this event takes place in the restaurants. 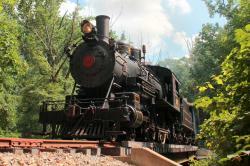 Travel from restaurant to restaurant, and sample the featured brews and tasty dishes in this pay-as-you-go event. You must be at least 21 years of age to sample the beers. The first 2,000 guests will receive a Food & Brew Fest commemorative 5 oz.-tasting mug. Guests may sample one of the restaurant&apos;s featured brews for $1-$2. A day-of-event program will be available at the restaurants and at the information booth at the Academy Lawn (Academy & Main streets). Event runs from 12:00pm - 7:00pm. 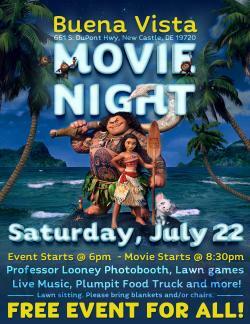 Join Buena Vista for their second annual Movie Night event on the lawn! This Saturday, they&apos;ll be featuring Disney&apos;s new classic "Moana". Bring blankets and/or lawn chairs, and luau themed attire is welcome! This event is FREE! Vendors include: The Plum Pit Food Truck, Professor Looney Photo booth, and Kona Italian Ice. There will also be live music, lawn games and more!